Hello everyone! 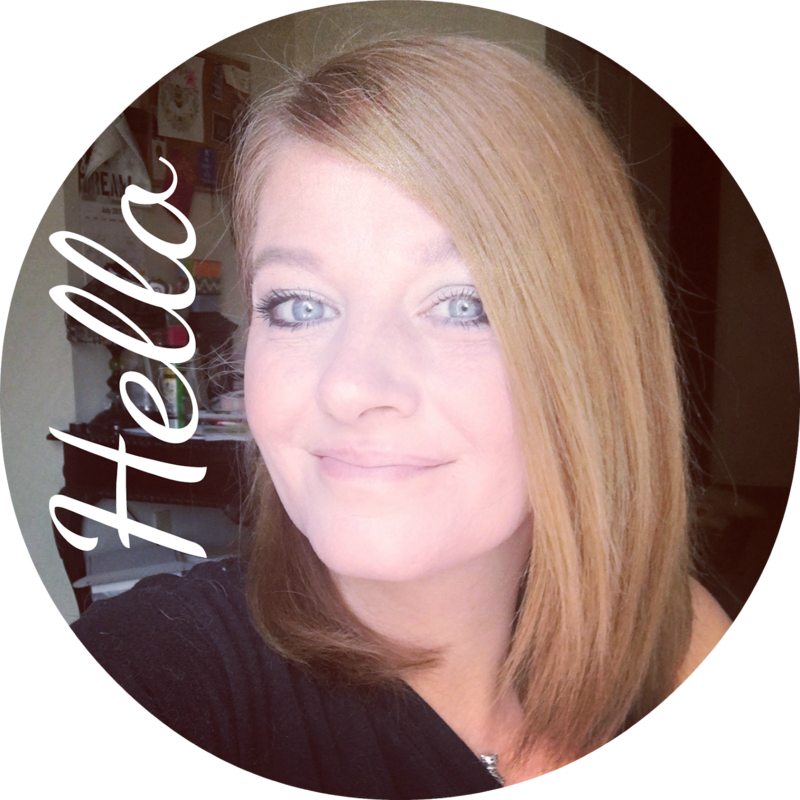 I am back with a review on my first summer read and I am sharing the next book I am moving into! I don't always get the time I want to sit down and really enjoy a book but here lately I have been making the time. 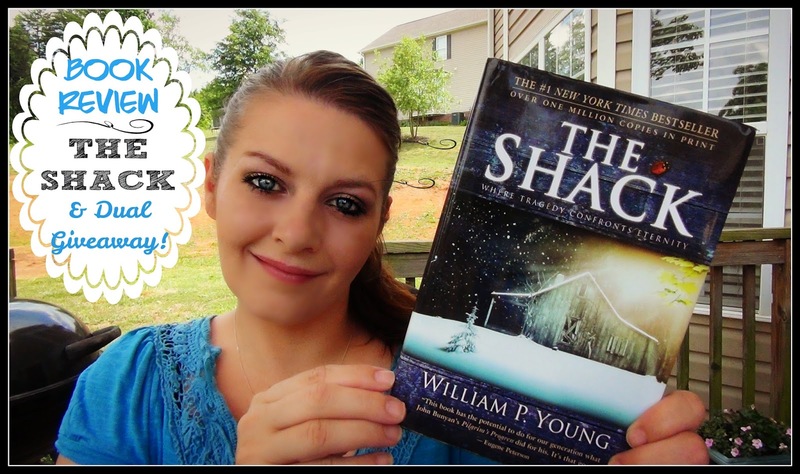 Today I am very happy to be sharing my thoughts on The Shack and host a DUAL GIVEAWAY! All the info is in the video and below you can find all the information and entry form for the giveaway! My mom is the one who suggested I read this book. She read it herself and found the book very very interesting. It wasn't long before she was telling everyone she knew about it, encouraging us all to read it. This is a Christian Fiction book. Its not a true story but there are parts in the book that are true for the author. I think any good Christian Novel is meant to open our minds and give us a different idea on how things could be. Basically to plant a seed. I think this book has a way of opening your mind and your heart at the same time. Christian fiction tends to give you a new idea without be so confronting and bold. So in this book the main character Mack receives a letter signed Papa inviting him back to a shack that he owns where his young daughter was raped and killed. Clearly this is a place that he doesn't like visiting because of all the hurt it holds for him. However, he does go and during that time he is confronted with the Holy Trinity. But its not as you think. The holy trinity including GOD comes in human form. During the long weekend Mack has many many conversations with the trinity about his daughter, life, death and Christianity. The Holy Trinity is represented by a large African American WOMAN and Jesus is a Middle Easter Carpenter and The Holy Spirit appears as a semi-transparent Asian woman named Sarayu. So this is where I think so many people are getting hung up. But lets get past the Authors idea of of the trinity and really get to what I think the meaning of the book is all about. This book talks a lot about suffering. Mack asks GOD about this and really got more questions than answers. Which is the way a lot of the book is written. From the way I got it, God created people with the free will to commit evil. God has an ultimate plan for our lives which cannot be overcome, even by acts of evil. Though out the book there are references to " religious conditioning " suggesting that maybe we should look at everything we have been taught to see if they can break some of the stereotypes about God. Another part of the book suggests that there is not just one way to get to God. Most people are taught that there is only one way....through Jesus Christ but the book suggests that God meets you where you are. Another aspect of this book is God not being so mean. Most of us all know of the God that really takes a active role in punishing sinners. Instead this book projects a all loving God. Most of us have been taught to basically fear God and in this book it totally goes against that. A huge part of the book is relationships. It emphasizes that a relationship with God is the most important thing not all the " stories" we were told growing up. Basically he is saying the details don't really matter. What matters is your personal relationship with God. I personally think God shows himself however we need to see him to get the message. Is it possible that Mack really saw 3 people who represented the trinity?? Sure I do. I think God can transform into whatever we need as individuals. In human form, angel form, in your dreams and even a thought can be from God. Whatever it takes for you to receive whatever message or lesson he wants you to understand. So with this book - A Christian Book - being at the top of the New York Times paperback fiction best-seller list for 36 weeks in a row says something. To me it says people in this time.. people now, are searching for answers far beyond the doctrine of the church. Basically this book goes against most of the scriptures that many of us, including myself have been taught. For me, the over all concept of the book is that God is all loving and does meet you where you are. I do believe this book is meant to not only open your mind to maybe a new way of thinking about God. This is the perfect book in so many ways for a book club. There are so many things that can be debated and discussed. Its not a huge book so it is small enough where the busiest people can get through it. I think this book will talk to so many people in so many different ways that the experience of reading it will be very different for everyone. I think everyone who opens the cover and reads the pages will find meaning to fit their life. Just one line from this book can be life changing. And there are so many. The only way to see for yourself what all the fuss is about with this book, is simply read it yourself. So now that I am finished reading The Shack I am moving on into my next summer read! A few weeks ago I was watching Super Soul Sunday with Oprah when she brought on Dr. Shefali Tsabary. I watched just a few minutes of the show and then woke my husband to come watch it with me. 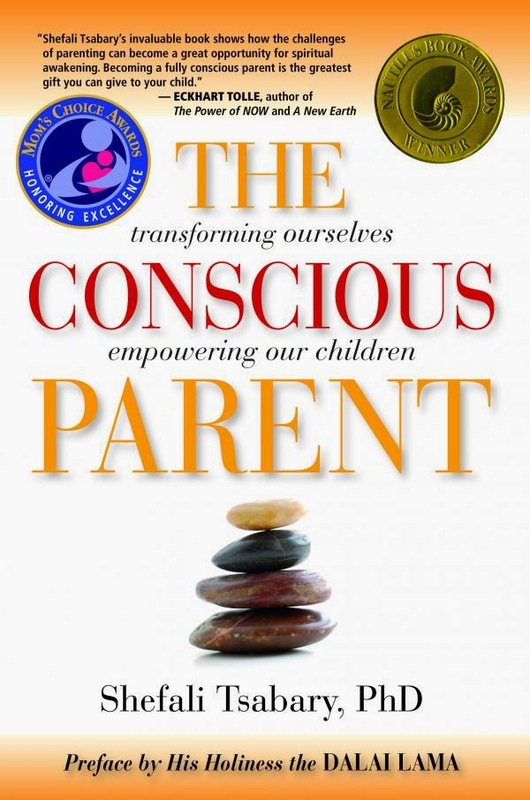 I was so touched by this new way of parenting that I had to get the book. 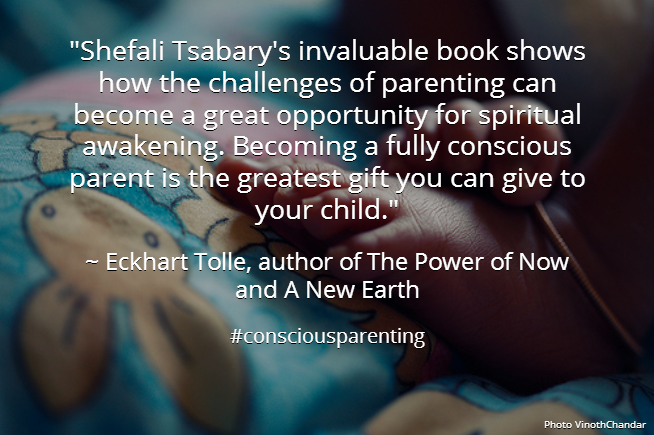 This is a new way of parenting your child on more of a spiritual level than anything else. Its about the natural consequences and not ones that you carry from your childhood on into the lives of the children you have around you. I know that a lot of parents will read this and be like..." yea right" but again.. maybe just maybe there is a new better way. Parenting is so hard and we all are basically learning as we go and I am so excited to start reading this book! Scott and I have been in therapy trying to find better ways of learning to cope with life and also how to parent better. This is just another tool that we are using to help guide us as parents to be the best parents we can be for the children we are raising. I am totally excited about both book and I think the best thing you can do when you love a book, is share it. So I am hosting a dual giveaway open to everyone. 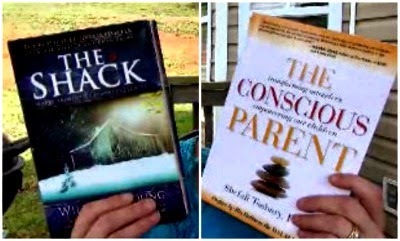 I am going to be giving one lucky reader a copy of The Shack and another lucky winner a copy of The Conscious Parent. I would love love love it if after you read the book, if you could let me know your thoughts on it. If you are interested in winning one of these books for yourself just follow the steps in the rafflecopter widget below. If you are unsure about how rafflecopter works, check out this post that does a great job explaining it. Basically there are lots of ways to get entered and rafflecopter picks the winner for me. This giveaway is going to last until Monday June 16 when I will announce the winner in a VIDEO and ON THIS POST. Please check either to see if you are the winner and I will also be personally notifying you. If you don't respond in 48 hours, I will have to pick another winner. I will be ordering the books and having them sent directly to the winners. 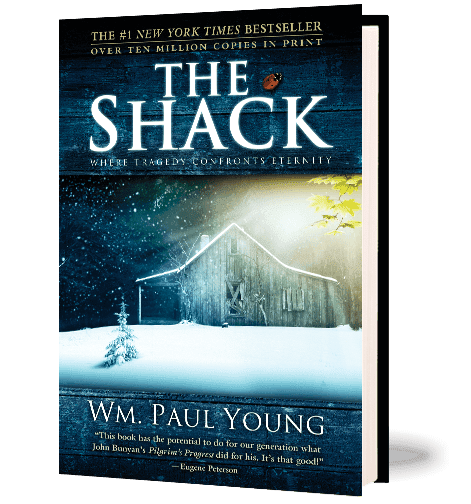 I really want to take a minute and say thank you to Kiirsten who was kind enough to send me The Shack to read. Its readers and viewers like her, that makes blogging and youtubing so wonderful. I will be sending her book back but I truly enjoyed reading it. Thank you again. I think that's a sign of a really good book when it gets passed around!